At a time when many people need to reflect and spend quality time with friends and family, the tricky issues that surround inheritance tax and inheritance generally can be tiresome to say the least. Anyone dealing with inheritance tax will in all probability be dealing with the financial affairs of the deceased in general, adding a pressure to their existing bereavement stresses that may involve altercations with other family members as well as persons otherwise related to the deceased. This brings home the fact that a loved persons departure often has little to do with the fact of their passing alone, and more to do with past family problems and financial feuds. The actual matter of dealing with the passing of a relative, friend or partner takes many more years to deal with. For those who are bereaved, bereavement counselling can be of great use both initially and in the short term. For those dealing with the financial affairs of the deceased it may be that they feel an added weight of responsibility both to themselves and to those around them. Often they will also be the closest to the deceased person. In this case it is vital to get all of the support you can get as you will often be dealing with the family (who will ant to know what is happening with the will, and will in any case want emotional support), other similarly interested parties, the tax office, any people who are owed debts from the deceased estates and any persons renting a property from the deceased (see related articles for related information). Your first move may be to enlist the emotional support of relatives: Deal with emotions first, money later! It is no good forcing yourself to take care of official matters over emotional and family matters. Anything to you put to one side on this way will come to the fore with vengeance later: Give yourself a break and return to legalities when ready to do so. Unfortunately, life being what it is, it will soon be time to take care of financial matters and in this case again enlist the support of trusted family member or friend if you can. Even if you have been left as the main executor of the estate you are perfectly entitled to work with others if it helps, as you have been entrusted to make decisions as you wish within the guidelines of the will. Be honest and open wherever possible and make it clear to people how you feel. Anyone you deal with will generally be understanding of your position, yet they will not necessarily make allowances unless you ask for help. Don’t imagine that to the ‘tax man’ you are just another bereaved person passing through the door! 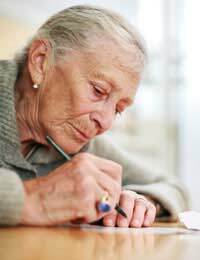 Apart from the usual bereavement counselling, support can be found in the form of legal advice (see related article) and it is this form advice that will most readily alleviate the burden of dealing with inheritance tax, freeing up time to sort out other things and to focus on family and friends.